Dong Yuan (董源, ?–962), courtesy name Shuda (叔達), was a native of Zhongling (鐘陵, modern Jinxian in Jiangxi Province) and worked as an administrative official during the Southern Tang (937–975) of the Five Dynasties and Ten Kingdoms Period. Dong Yuan was most famous for his landscape paintings, especially those in monochrome ink. Carrying on the landscape tradition which had developed in the middle and late Tang, he and three other celebrated artists, all of whom active in the 10th century, came to be known as “Jing (Jing Hao), Guan (Guan Tong), Dong (Dong Yuan), Ju (Juran).” While Jing Hao and his pupil Guan Tong represented the Northern School of landscape painting, Dong Yuan and his pupil Juran pioneered the Southern School. Of the four, Dong Yuan’s influence has historically been the most significant. 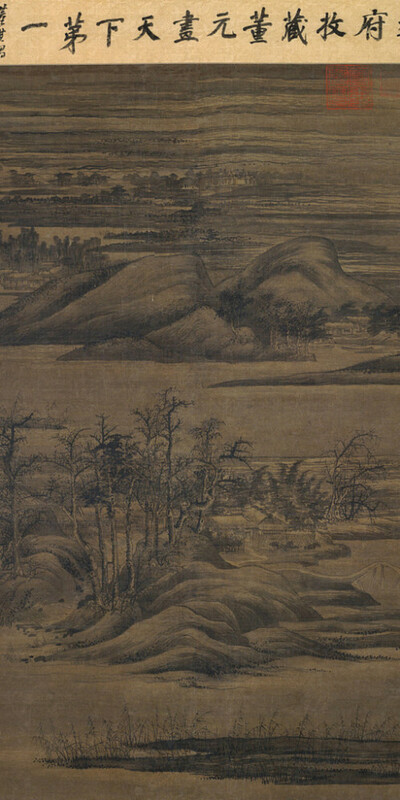 Dong Yuan’s original “hemp-fibre” texture strokes (披麻皴) were technically suited for portraying the soft rolling mountains of the south. He excelled in depicting a subject by building up dots and lines which had the appearance of being painted at random but were actually very subtly arranged. 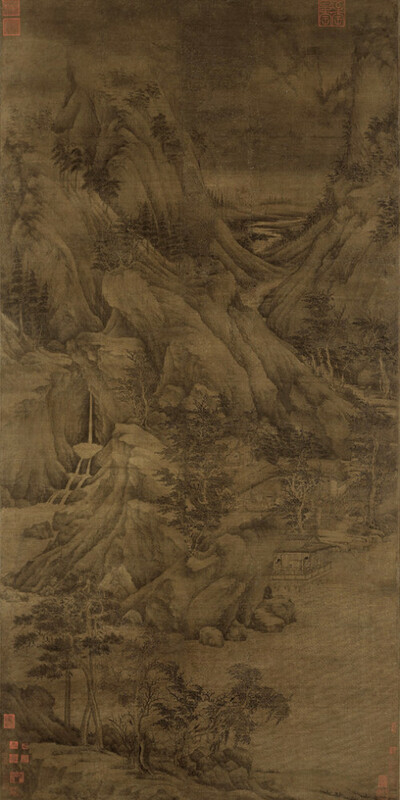 Shen Kuo (1031–1095), the famous scholar and scientist, said, “He uses the brush so roughly that a painting does not make any sense if examined at close-up, but when looked at from a distance it is vivid and appealing, as though seeing a fairy-tale world (其用筆甚草草，近視之幾不類物象，遠觀則景物粲然，幽情遠思，如睹異境).” Dong Yuan’s elegant style and innovative technique greatly influenced later Chinese painters, including the Four Yuan Masters, the Wu School artists, the Four Wangs, among others.